The Three Wise Men, The Three Saintly Kings. They came to visit me today. Sort of. Actually, they stood in the street and looked forlorn, so I went out to speak to them. I had been told they might be coming. To knock on my door, and to bless my house in observation of Epiphany on January 6th. We Americans take little notice of Epiphany (and the 12 days of Christmas that span from Christmas day until Epiphany), but in Europe it is still heartily observed. On this day, groups of children known as Sternsinger go from door to door and sing a song or recite a poem or prayer. They then write in chalk above the door C+B+M and the number of the year with three crosses, eg. 20*C+M+B+08. These letters stand for the latin phrase Christus mansionem benedicat, meaning “God protect this house”. The Sternsinger also collect donations for childrens’ charities. I assume that the C + M + B also stands for the Three Kings (Melchior, Caspar and Balthazar). When we first moved here, I noticed these chalk markings above so many doors–letters and numbers. I’d decided that it must have to do with a municipal code, but finally asked someone about it. How fabulous to learn that it was a blessing and not a municipal code–much nicer! I was looking forward to a visit when Epiphany rolled around. And so the three anticipated guests showed up today. My husband, daughter, and I were standing in our kitchen, contemplating lunch, when three teenagers appeared outside our window. They stared at us, we stared at them. Then we, my family, stared at each other, wondering what we were supposed to do. We had no idea, so we stared back at them again, wondering what they were supposed to do. I immediately stopped waving at people. My neighbors stopped scowling, for the most part. Now we just stare at each other. It still feels weird, but you get used to that feeling when you aren’t on your home turf. Weird is the new normal. But back to the Kings loitering outside my window. They were three teenagers, recognizable as the kings only when two of them dropped their cell phones into their pockets and the third shifted her body to reveal a staff topped with a star in her hand. Another had some sort of wooden box. “Oh!” I said, “I know who they are!! The Heilige Konige! 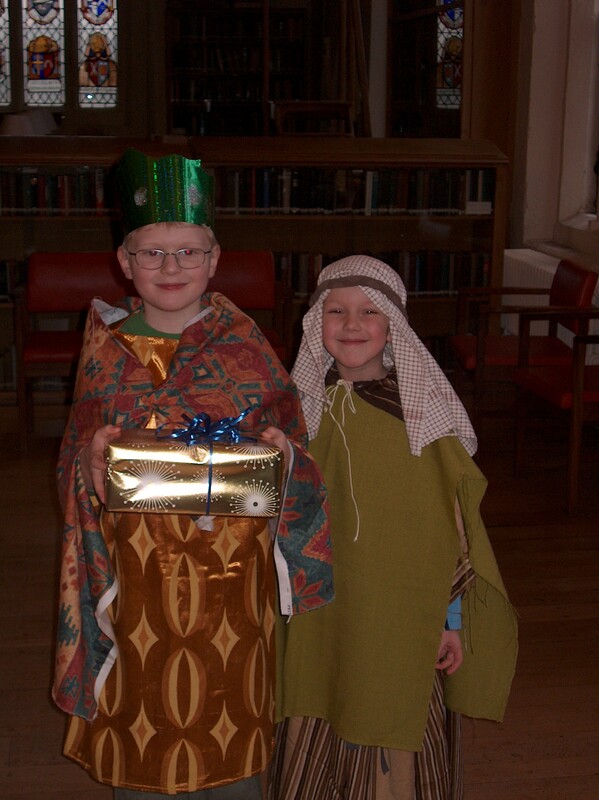 The Wise Men!” I was so excited to have them visit our house! But they just stood and stared. Then they moved a few feet, so that they were blocked from view by a hedge. Were they regrouping before bursting into song? So I asked my husband to walk out and see if we were supposed to invite them in or something. He retorted, “YOU are the one who speaks German.” Two things worth noting here: 1 -clearly, he was a little wary of these sketchy wise guys, and 2-nothing that comes out of my mouth is recognizable as German, try as I might. So, armed with some Euros and sketchy language skills, I rounded the hedge and approached the kings. Can we pause the story here and just consider that last sentence? It has promise, doesn’t it? Sounds like the beginning of an epic tale or a heartwarming Christmas story. Yes, it has promise. And then I said, “Die Heilige Drei Konige?” “Ja,” they said. Yes! Great! But the surly youth didn’t burst into song or emit a holy aura, or do anything else but stare. We fumbled around for a moment. They never burst into song, and wise man #3 kept to himself and his cell phone, but we did manage to establish that wise man #2’s wooden box was for 3rd world charity donations. I handed them my money and wished them a lovely day in passable German. It wasn’t what I’d pictured happening when the Heilige Konige came to visit. Maybe it was the cold rain and snow mix falling on our shoulders that kept them from a more leisurely visit? Understandable. Maybe it was the fact that they were three teenage kings instead of truly holy kings, carrying cell phones instead of chalk, and that’s okay too. The Kingdom of Teenage plays by mysterious rules. Or maybe it was my German-English (Germglish) that drove them quickly from my door. Germglish tends to do that. So, the visit wasn’t what I expected . . .but I can get over that. I saw the Heilige Drei Konige; they visited my house. That ain’t bad for a rainy afternoon. Sounds similar to the German trick or treaters who showed up at our house – I’d been told they didn’t celebrate Halloween, so no candy. Mass confusion all around. They thought I was holding out on them lol. Such disappointment! Did you ever have a visit from the Konig in Oftersheim? I’m still hoping that a second round of kings will come through and bless my house. We’ll see what happens. I always wondered what those numbers chalked above many doors were – many thanks to this blog post from Travels and Tomes for the enlightenment!! You are welcome, and thanks for reading and sharing! It’s always fun to learn about new customs. Oh my goodness i love this story! I believe I will have to tie my arms to my sides should I visit Germany. No waving? According to my friend, no waving. Never. Ever. (And my neighbors certainly thought I was an odd bird to wave.) It’s a VERY hard habit to break. . .